Maurice Polydore Marie Bernard, Count Maeterlinck (August 29, 1862 - May 6, 1949) was a Belgian poet, playwright, and essayist writing in French. He was awarded the Nobel Prize in Literature in 1911. The main themes in his work are death and the meaning of life. Influenced by the philosophy of Arthur Schopenhauer, Maeterlinck believed that humankind was ultimately powerless in the face of forces that was out of human control. He would reflect this fatalism in his style of play, creating the static play and working with marionettes as a metaphor for the human condition. Count Maurice Maeterlinck was born in Ghent, Belgium to a wealthy, French-speaking family. His father, Polydore, was a notary, who enjoyed tending the hothouses on their property. His mother, Mathilde, came from a wealthy family. In September, 1874 he was sent to the Jesuit College of Sainte-Barbe, where works of the French Romantics were scorned. Only plays on religious subjects were permitted. His experiences at this school undoubtedly influenced his distaste for the Catholic Church and organized religion. He had written poems and short novels during his studies, but his father wanted him to go into law. After finishing his law studies at the University of Ghent in 1885, he spent a few months in Paris, France. He met there some members of the then new Symbolist movement, Villiers de l'Isle Adam in particular. The latter would have a big influence on the work of Maeterlinck. 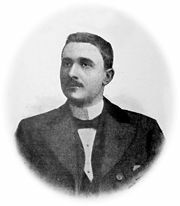 In 1889, he became famous overnight after his first play, La Princesse Maleine, received enthusiastic praise from Octave Mirbeau, the literary critic of Le Figaro (August 1890). In the following years, he wrote a series of symbolist plays characterized by fatalism and mysticism, most importantly L'Intruse (The Intruder, 1890), Les Aveugles (The Blind, 1890) and Pelléas et Mélisande (1892). He had a relationship with the singer and actress Georgette Leblanc from 1895 till 1918. She influenced his work during those two decades. With the play Aglavaine et Sélysette Maeterlinck began to create characters, especially female characters, more in control of their destinies. Leblanc performed these female characters on stage. Even though mysticism and metaphysics influenced his work throughout his career, he slowly replaced his Symbolism with a more existential style. In 1895, with his parents frowning upon his open relationship with an actress, Maeterlinck and Leblanc moved to the district of Passy in Paris. The Catholic Church was unwilling to grant her a divorce from her Spanish husband. They frequently entertained guests, including Mirbeau, Jean Lorraine, and Paul Fort. They spent their summers in Normandy. 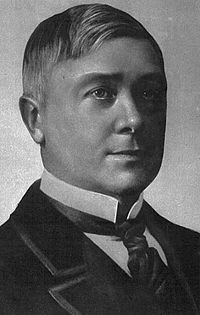 During this period, Maeterlinck published his Douze Chansons (1896), Treasure of the Humble (1896), The Life of the Bee (1901), and Ariane et Barbe-Bleue ("Ariadne and Bluebeard," 1902). In 1903, Maeterlinck received the Triennial Prize for Dramatic Literature from the Belgian government. In 1906, Maeterlinck and Leblanc moved to a villa in Grasse. He spent his hours meditating and walking. As he emotionally pulled away from Leblanc, he entered a state of depression. Diagnosed with neurasthenia, he rented the Benedictine Abbey of St. Wandrille in Normandy to help him relax. Leblanc would often walk around in the dress of an abbess; he would wear roller skates as he moved about the house. During this time, he wrote his essay L'Intelligence des fleurs ("The Intelligence of Flowers," 1906), in which he discussed politics and championed socialist ideas. He donated money to many workers' unions and socialist groups. At this time he conceived his greatest contemporary success: the fairy play L'Oiseau Bleu (The Blue Bird, 1908). He also wrote Marie-Victoire (1907) and Mary Magdalene (1908) with lead roles for Leblanc. Aside from L'Oiseau Bleu, critics did not praise these plays, and they considered Leblanc no longer an inspiration to the playwright. Even though alfresco performances of some of his plays at St. Wandrille had been successful, Maeterlinck felt that he was losing his privacy. The death of his mother on June 11, 1910 added to his depression. In 1910 he met the 18-year-old actress Renée Dahon during a rehearsal of The Blue Bird. She became his lighthearted companion. Winning the Nobel Prize for Literature served to heighten his spirits, as well. By 1913, he was more openly socialist and sided with the Belgian trade unions against the Catholic party during a strike. In fact, he began to study mysticism and bombasted the Catholic church in his essays for construing the history of the universe. By a decree of January 26, 1914, his opera omnia was placed on the Index Librorum Prohibitorum by the Roman Catholic Church. When Germany invaded Belgium in 1914, Maeterlink wished to join the French Foreign Legion, but his application was denied due to his age. He and Leblanc decided to leave Grasse for a villa near Nice, where he spent the next decade of his life. He gave speeches on the bravery of the Belgian people and assigned blame upon all Germans for the war. While in Nice he wrote the plays Le Bourgemestre de Stilmonde (The Burgomaster of Stilmonde), which was quickly labeled by the American press as a "Great War Play." He also wrote Les Fiancailles (The Betrothal), a sequel to The Blue Bird, in which the heroine of the play is clearly not a Leblanc archetype. On February 15, 1919 Maeterlinck married Dahon. He accepted an invitation to the United States. Samuel Goldwyn asked him to produce a few scenarios for film. Only two of Maeterlinck's submissions still exist; Goldwyn didn't use any of his submissions. Maeterlinck had prepared one based on his The Life of a Bee. After reading the first few pages Goldwyn burst out of his office, exclaiming: "My God! The hero is a bee!" Dahon gave birth to a stillborn child in 1925. By the 1920s, Maeterlinck found himself no longer in tune with the times. His plays of this period (La Puissance des morts, Le Grand Secret, Berniquel) received little attention. Despite these misgivings, there is no reference to Eugene Marais in the bibliography. His other works on entomology include L'Araignée de verre (The Glass Spider, 1923) and Vie des fourmis (The Life of the Ant, 1930). According to an article published in the New York Times in 1940, he arrived in the United States from Lisbon on the Greek Liner Nea Hellas. He had fled to Lisbon in order to escape the Nazi invasion of both Belgium and France. The Times quoted him as saying, "I knew that if I was captured by the Germans I would be shot at once, since I have always been counted as an enemy of Germany because of my play, 'Le Bourgmestre de Stillemonde', which dealt with the conditions in Belgium during the German Occupation of 1918." As with his earlier visit to America, he still found Americans too casual, friendly and Francophilic for his taste.. He returned to Nice after the war on August 10, 1947. In 1948, the French Academy awarded him the Medal for the French Language. He died in Nice on May 6, 1949 after suffering a heart attack. There was no priest at his funeral. Maeterlinck, an avid reader of Arthur Schopenhauer, considered man powerless against the forces of fate. He believed that any actor, due to the hindrance of physical mannerisms and expressions, would inadequately portray the symbolic figures of his plays. He concluded that marionettes were an excellent alternative. Guided by strings operated by a puppeteer, marionettes are an excellent representation of fate's complete control over man. He wrote Intérieur, La Mort de Tintagiles, and Alladine and Palomides for marionette theater. From this, he gradually developed his notion of the static drama. He felt that it was the artist's responsibility to create something that expressed nothing of human emotions but rather of the external forces that compel people. Materlinck once said: "The stage is a place where works of art are extinguished. [...] Poems die when living people get into them." He explained his ideas on the static drama in his essay "The Tragedies of Daily Life," which appeared in The Treasure of the Humble. The actors were to speak and move as if pushed and pulled by an external force, by fate acting as puppeteer. They were not to allow the stress of their inner emotions to compel their movements. Maeterlinck would often continue to refer to his cast of characters as "marionettes." Pelléas et Mélisande inspired four major musical compositions at the turn of the twentieth century, an opera by Claude Debussy, (L 88, Paris, 1902), incidental music to the play composed by Jean Sibelius (opus 46, 1905), an orchestral suite by Gabriel Fauré (opus 80, 1898), and a symphonic poem by Arnold Schoenberg (opus 5, 1902/1903). ↑ Bettina Knapp, Maurice Maeterlinck, (Thackery Publishers: Boston, 1975 ISBN 9780805725629), 18. ↑ "Die Huisgenoot," Nasionale Pers, January 6, 1928, cover story. ↑ "Drama---Static and Anarchistic," New York Times, Dec. 27, 1903. ↑ Peter Laki, Bartók and His World, (Princeton University Press, 1995), 130-131. This page was last modified on 4 September 2018, at 15:46.